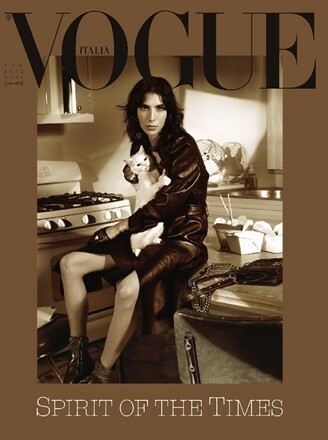 Steven Meisel captured Jamie Bochert with a white cat (doensn't she look afraid...?) for the cover of the August 2012 issue of Vogue Italia. 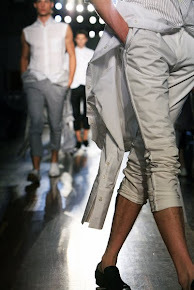 Styling by Karl Templer and set design by Mary Howard. If this is the Spirit of the Times, it is too moody and noir...At least the white cat gives a little bit hope!